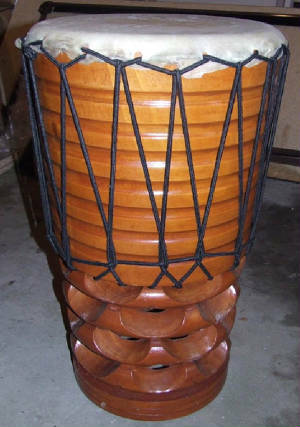 18" Remo Djembe Remo's biggest djembe. 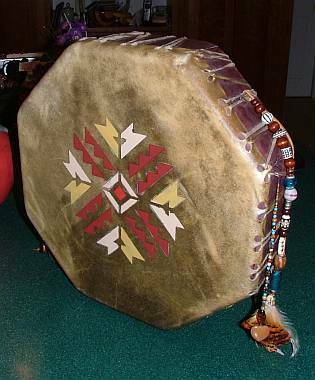 Three people can stand around this drum and play it! I never do. It comes out once a year at a big outdoor party we throw. 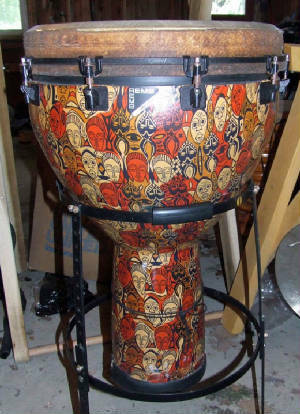 No drum should be so neglected. Synthetic shell and head. Rubber footing at bottom has been repaired. Wrench tunable. 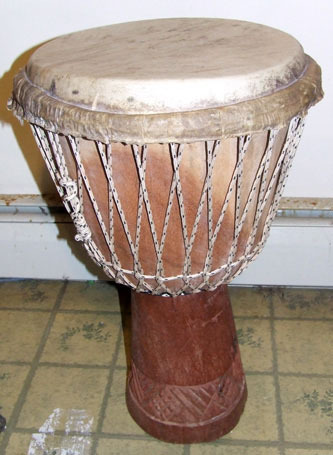 HUGE djembe. $125. 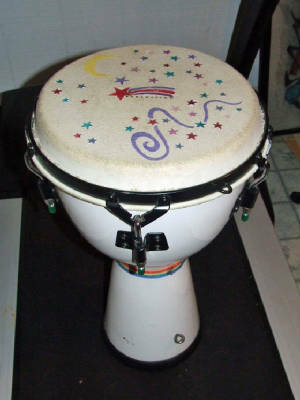 (plus shipping) conga stand not included. 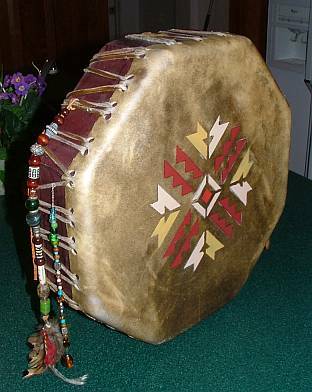 Own an original Healing Heart Drum. Built by me. 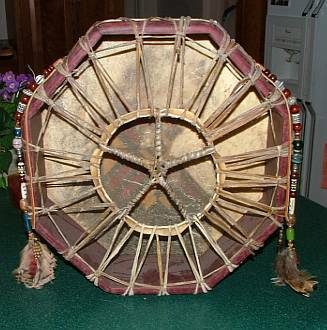 15" octagonal. Decorated with feathers and beads and a signature gemstone heart. Two-headed type recommended for climates that get high humidity. $250. includes your choice of beater. 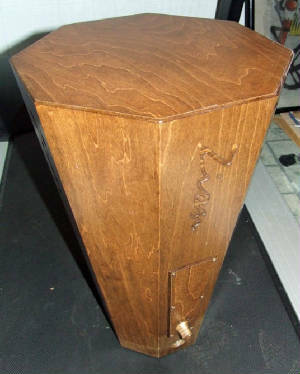 Electric Cajon drum! 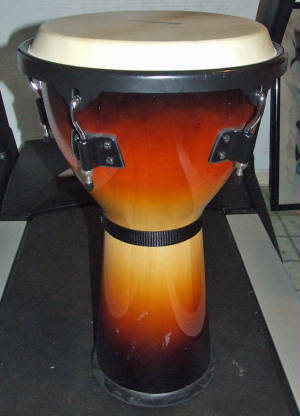 This can be played as an acoustic cajon drum by simply playing the top like a conga. Plug any guitar cord into the front and the other end in an amplifier and you have an amazing electric cajon drum! Volume control is on the front for drum. 18" tall. Hardly played. (I'm only selling this because I own its bigger brother.) $150. (plus shipping) Originally sold for more than $250.